More than 15,000 people have sought information on child sexual exploitation (CSE) in the first weeks of a multi media campaign to tackle the issue. Aileen Campbell, minister for children and young people, made the announcement on National CSE Awareness Day during a visit to Barnardo’s Scotland, which is receiving funding to expand services for those at risk. The campaign, the first of its kind in the UK, highlights how to spot the warning signs of CSE. It is one of a range of actions the Scottish Government and partners are taking forward including: Funding for the Moira Anderson Foundation to increase the support for young people who have experienced child sexual abuse; expansion of peer education programmes to equip young people with skills to identify abusive and violent behaviours; action to strengthen the response to CSE, including a new framework for Child Protection Committees and guidance on identification and risk assessment; funding to Barnardo’s Scotland to deliver 150 community events to raise awareness of the issue, ensuring consistent information collection across Child Protection Committee areas; work to improve understanding of the scale of CSE though a new police intelligence toolkit and specialist support to child abuse investigations through Police Scotland’s National Child Abuse Investigation Unit – child sexual exploitation accounted for 33 per cent of the Unit’s resource hours between April 2015 and February 2016. Ms Campbell said: “Child sexual exploitation is a form of child abuse and some young people may not be aware they are at risk of harm. “The first step in tackling this abhorrent crime is understanding it can happen to anyone. It can take many forms – online, through social media or on phones, or in person through exploitative and damaging relationships. “We launched the first TV campaign in the UK to raise awareness of how it can happen, giving parents and young people access to the information they need to prevent it. “This Government takes child protection seriously – that’s why last month we launched comprehensive review of the child protection system in Scotland,to strengthen the steps taken when children have experienced, or are at risk from harm. Martin Crewe, director, Barnardo’s Scotland said: “It is worth remembering that this type of sexual abuse, especially when it takes place online, can happen to any child or young person, regardless of their upbringing or home environment. 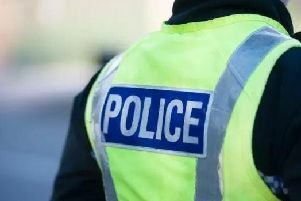 Malcolm Graham, assistant chief constable, Police Scotland’s public protection lead, said: “Child sexual exploitation is happening in Scotland and it’s happening now. “Recognising the signs of exploitation early, sharing information and taking action will ensure that children are protected. This update of the CSE Action Plan comes at a crucial time as our knowledge and understanding of CSE continues to evolve. “Young people often don’t recognise that they are being sexually exploited nor do their families or communities. And as they increasingly keep in touch with friends and organise their lives through social media and chatrooms, the online threat cannot be underestimated. “It is imperative that we educate children, their families and communities about CSE and staying safe online. We must also share information and intelligence that will lead to the early identification of perpetrators and prevent this abuse. Jackie Brock, Children in Scotland chief executive, said: “This action plan shows the determination of all agencies to get to the heart of the real scale and nature of child sexual exploitation in Scotland. “If the commitments by all partners are all followed through, there will no longer be a question of avoiding the challenge or claiming child sexual exploitation couldn’t happen in any of our communities.